Improved cleanliness, superior quality, reduced cost - in industrial parts cleaning requirements regarding stable cleanliness are constantly on the rise, in parallel cost pressure increases. 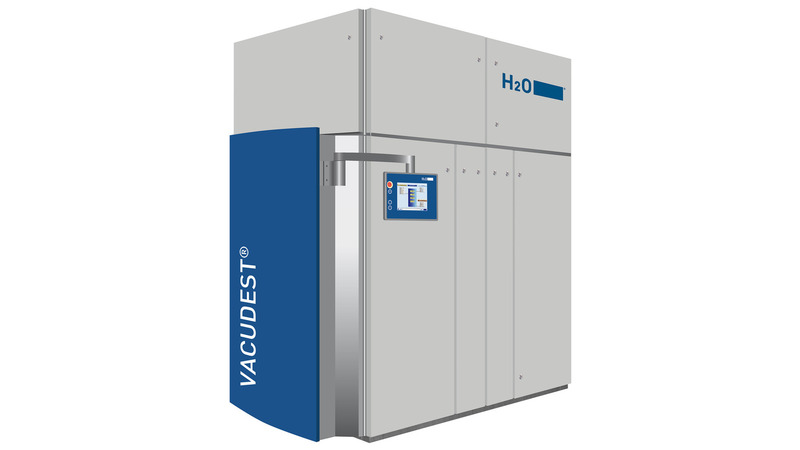 Thus H2O GmbH, based in Steinen, Germany, developed an efficient solution, improving rinsing water quality and reducing cost at the same time: Recycling of spent rinsing water by vacuum evaporation. The experts for zero liquid discharge production provide further information on the parts2clean. Leading companies already rely on vacuum distillation systems for the purification of spent rinsing waters. The advantage: The purified rinsing water has such a high quality that it can be recycled. Users can thus reduce wastewater disposal cost by up to 98 %. In addition patented technologies from H2O help to improve the quality of the cleaning results due to highest rinsing water quality. An example is the patented Clearcat condensation step. It provides for crystal clear distillate, virtually free of oil. It is cleaner than the distillate from conventional vacuum evaporators, even after additional treatment with activated carbon, and thus can be recycled to the cleaning process.